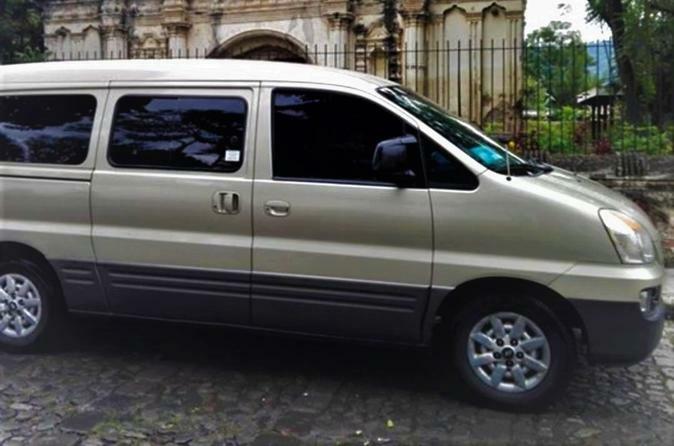 Book this collective, economic, safe and door-to-door service from Antigua Guatemala to La Aurora International Airport (GUA) or hotel zones 9, 10, 13 and 14. This easy and effective transfer picks you up at your hotel in Antigua or of meeting. This transfer service is available 24 hours a day, seven days a week. Before you book your shuttle service, please consider the following information The shuttle service is a Collective service; for that it may be necessary to be ready 15 minutes before the scheduled pick-up time and wait 30 to 45 minutes as the driver has to pick up other people from different hotels. So, don’t be in a hurry. After this time, if the shuttle has not passed to pick you up, please contact us at the phone number indicated on the voucher. This still requires that you be ready 15 minutes before your scheduled departure time. In order to offer a low cost for transportation, you will be transferred by sub-contracted suppliers from your departure point. About the type of vehicle: it can be a small car (3 people) or Toyota Hi Ace or Kia or Mitsubishi (14 people) or Coaster (20 people) according to the number of people that take part at the trip. In the high season and generally on weekends vehicles tend to be full and crowded (sometimes clients complain that it’s uncomfortable). For that reason; we recommend a private service. We use the same type of vehicles with maximum capacity of 6 to 10 people; the service will be only for you or your group.